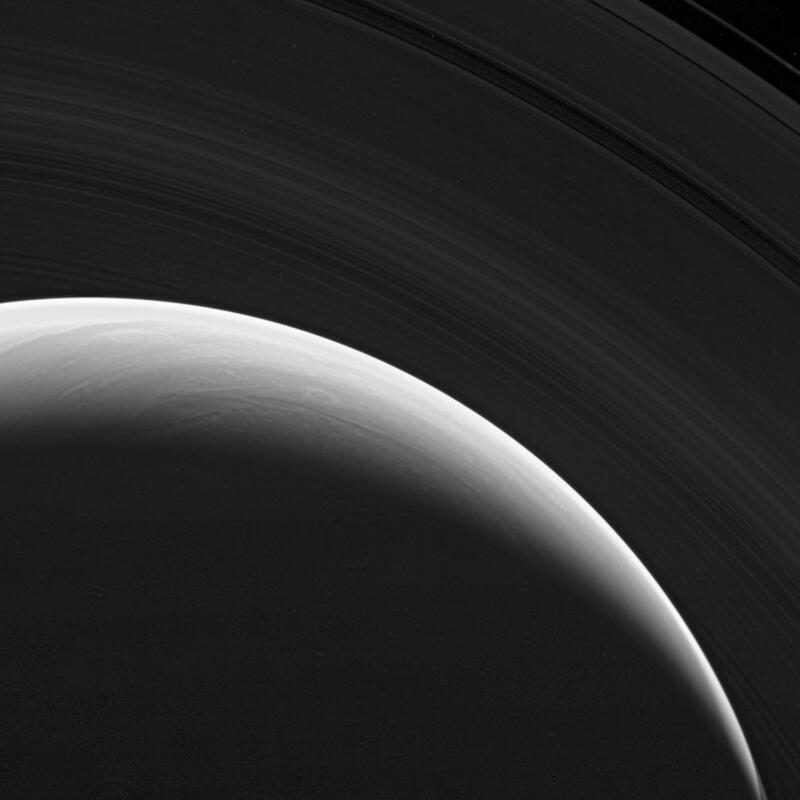 The Cassini spacecraft gazes down at the marvelous rings and swirling clouds of giant Saturn from above the planet's north pole. 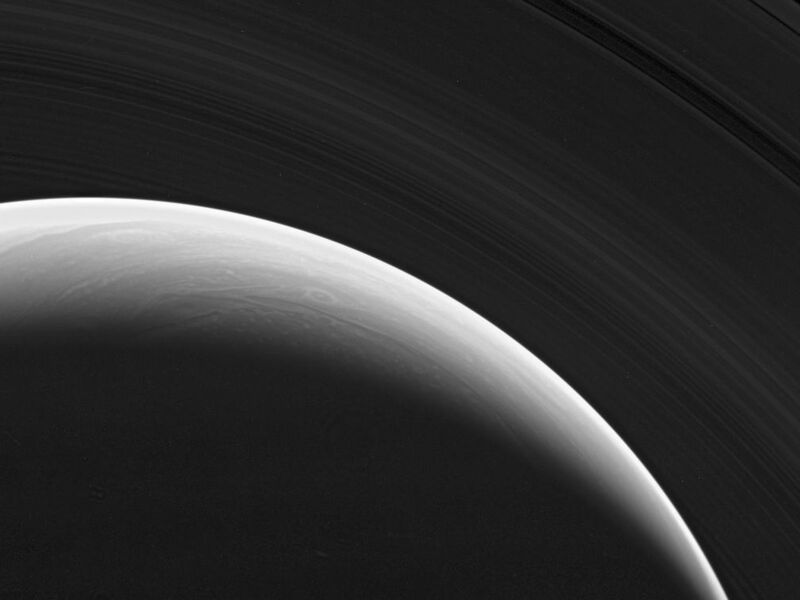 Such views are possible as the spacecraft performs its "180-degree transfer," a key navigation maneuver that quickly raises the inclination of Cassini's orbit and shifts the orbital ellipse around to a different side of the planet, before quickly lowering the inclination again. 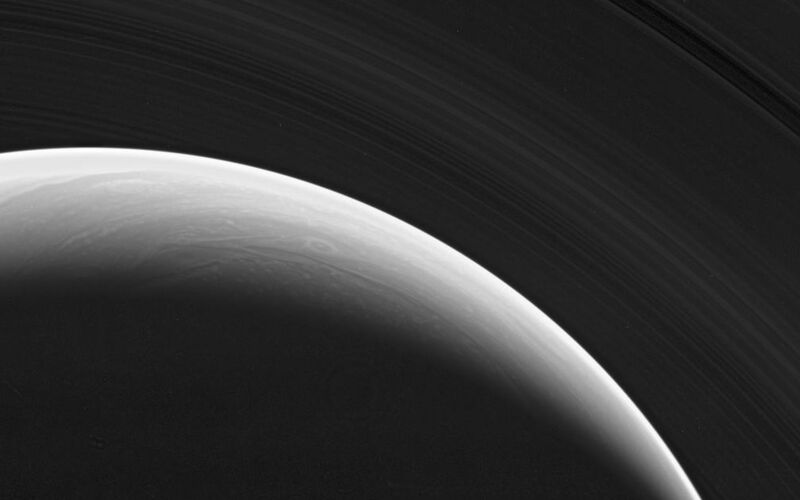 The image was taken in visible light with the Cassini spacecraft wide-angle camera on Oct. 30, 2006. Cassini was then at a distance of approximately 1.2 million kilometers (700,000 miles) from Saturn and at a Sun-Saturn-spacecraft, or phase, angle of 142 degrees. Image scale is 67 kilometers (41 miles) per pixel. For more information about the Cassini-Huygens mission visit http://saturn.jpl.nasa.gov/home/index.cfm. The Cassini imaging team homepage is at http://ciclops.org.